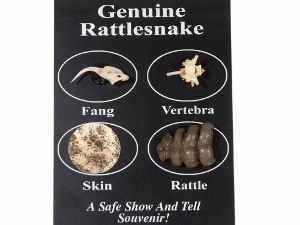 This is a nice souvenir of assorted real Texas Western or Eastern diamondback rattlesnake parts. 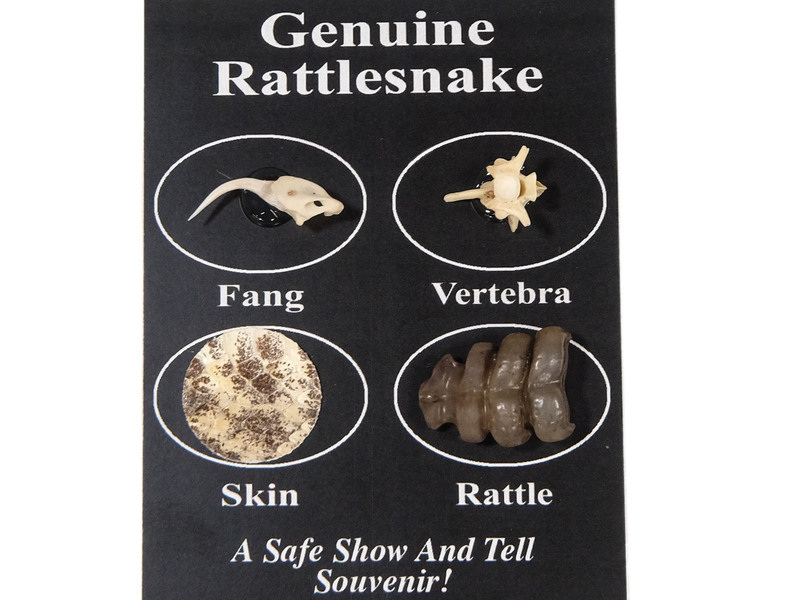 One piece each of rattlesnake fang, bone, skin, and rattle is mounted on a cardboard backing that measures 4" long and 2.75" wide. 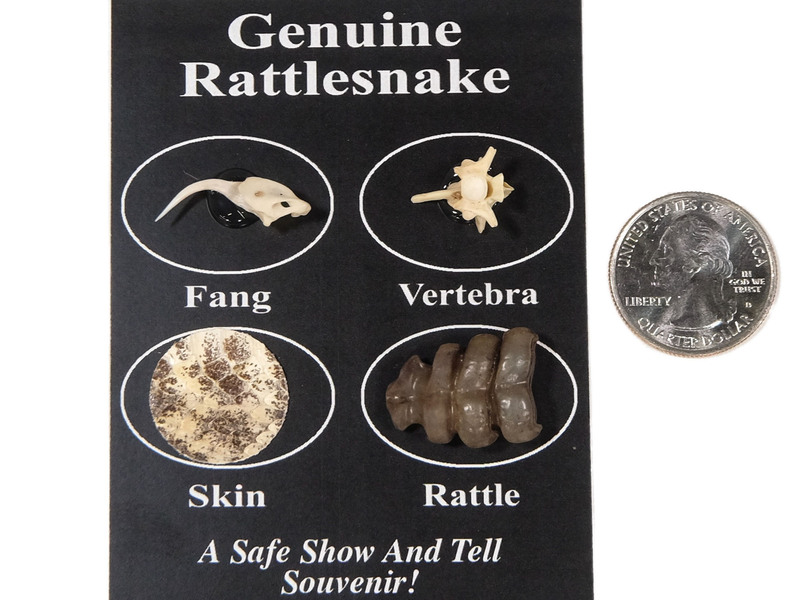 Each pack weighs approximately 0.1 oz.